Womens Nike Indy Breathe Sports Bra offers light support during low-impact, high-energy workouts such as yoga, barre and pilates. Its V-neck silhouette offers a feminine look and breathable molded cups offer a flattering shape. 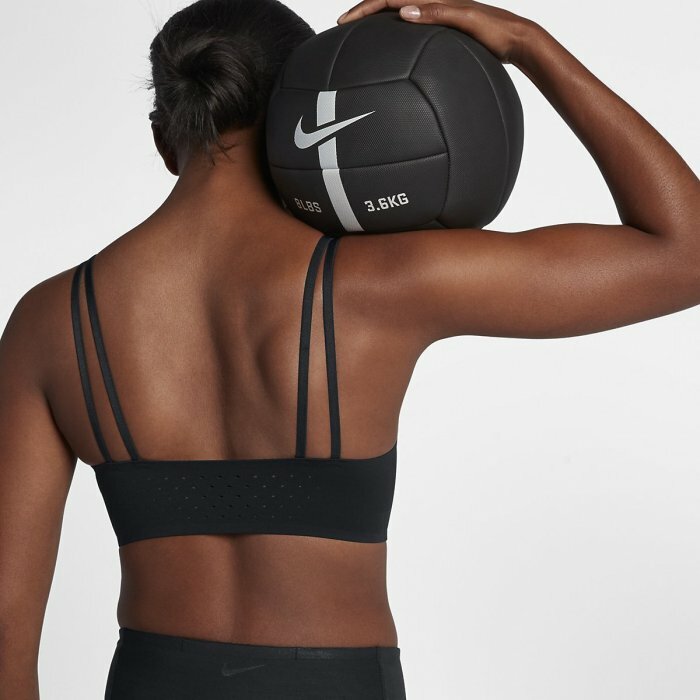 Značkové dámské produkty Nike Podprsenka Indy Breathe Sports Bra - černá patří do kategorie Podprsenky. Produkt koupíte pod kódem AA4214-010. Tento produkt máme skladem. Nyní sleva 20% na tento produkt.